(NAGOYA, JAPAN – Friday 1st December, 2016) The LPGA of Japan Team won all four of their matches on day one of The Queens presented by Kowa to surge into a four point lead at Miyoshi Country Club in Nagoya. With eight points, Japan holds a four point lead over the Korean LPGA and Ladies European Tour. The first points for Europe came on the 17th green from Scottish Solheim Cup veteran Catriona Matthew and Dane Nanna Koerstz Madsen in the third foursomes match against Australians Sarah Kemp and Stacey Keating. Three up after eight holes, the Europeans lost the ninth and 10th but won the par-3 13th with a bogey. Although they lost the 16th, the Australians were in a heap of bother from the 17th tee after hitting into the trees right of the fairway and the LET representatives won with a par. 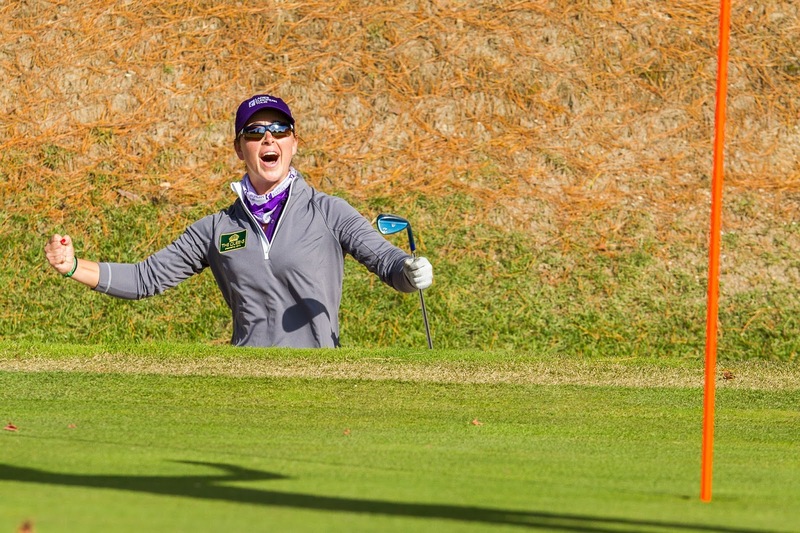 A sensational holed bunker shot for birdie on the short 16th from Nuria Iturrios helped the young Spaniard and Frenchwoman Isabelle Boineau to win the sixth foursomes match against the experienced Koreans Hee Won Jung and Seon Woo Bae. Both players are making their debut in the tournament and the great friends made an impressive partnership. Three up after eight holes, they were back to all square after 13 but they won the long 15th and 16th. The Koreans made a gain at the 17th, but came unstuck when Jung hit the pair’s second shot into the lake right of the green from a fairway bunker and they conceded the hole. Proud Ladies European Tour team captain Trish Johnson said that her players were “performing admirably” and that they weren’t used to putting to pin positions on such severe slopes on the LET. “The pins were in some very interesting places to say the least and I think that’s what they do here on the Japanese tour. Our girls need to get used to some very slopey pins. I don’t think we’ll go home and moan about pins like we normally do.